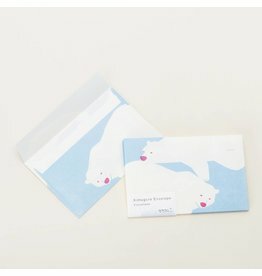 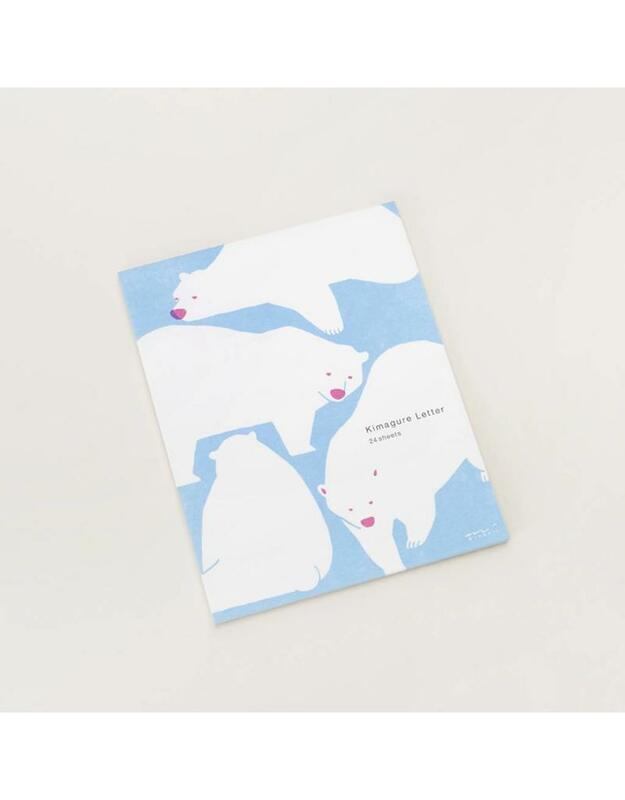 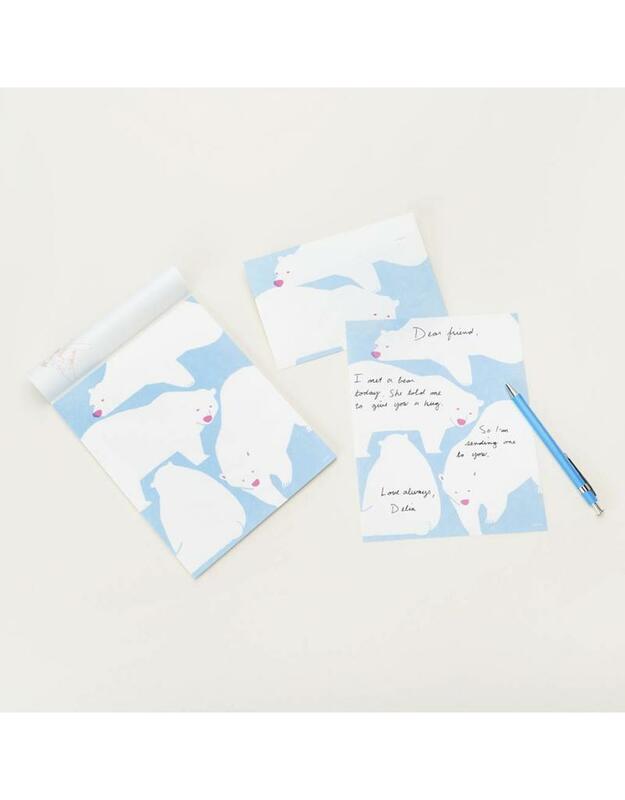 Ideal for short notes and messages, this letter pad features a cheery polar bear motif against an uplifting blue background. 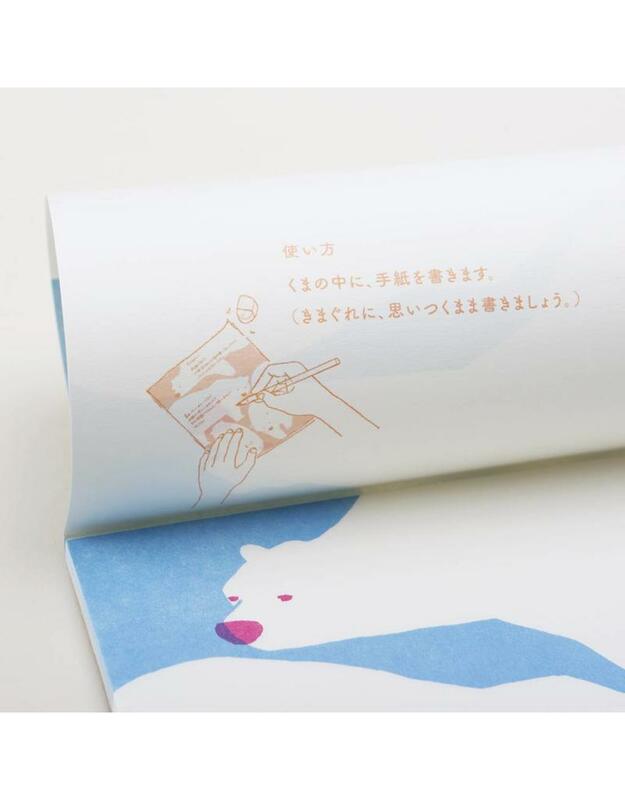 Japanese-made paper takes well to inks and graphite. 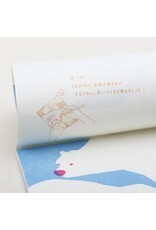 Top bound pad allows each sheet to be torn free cleanly. Ruled guide sheet included. 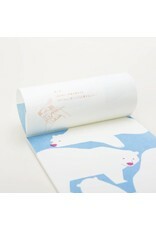 Measures 18cm x 14.5cm. 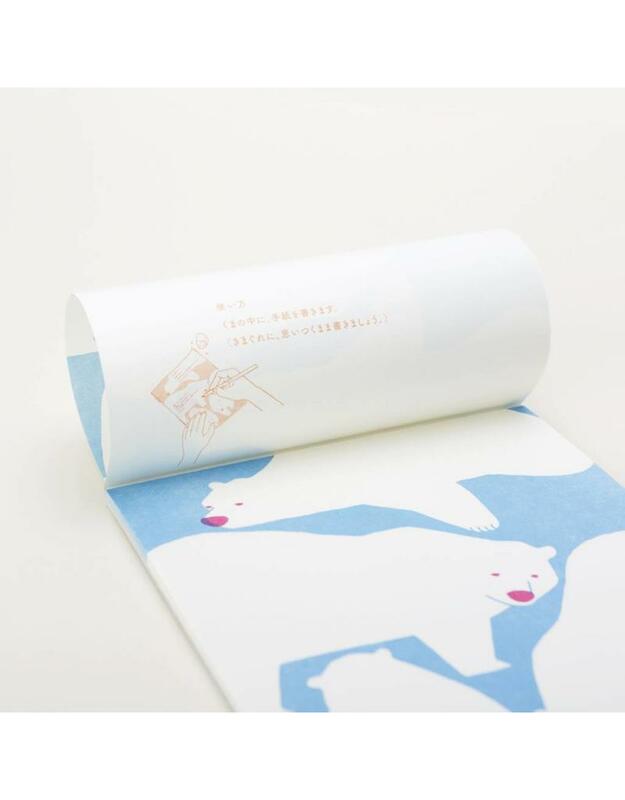 24 sheets.